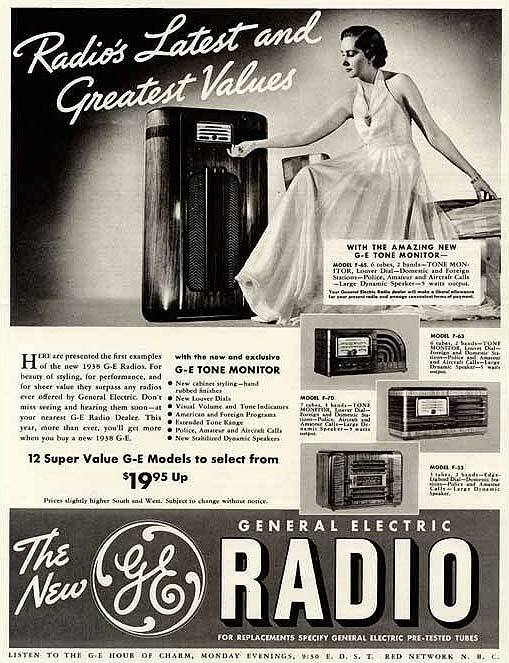 General Electric introduced the F-53 alongside with the F-65 console, F-63 and F-70 tabletop sets in in late 1937 as a 1938 model with new cabinet design elements. 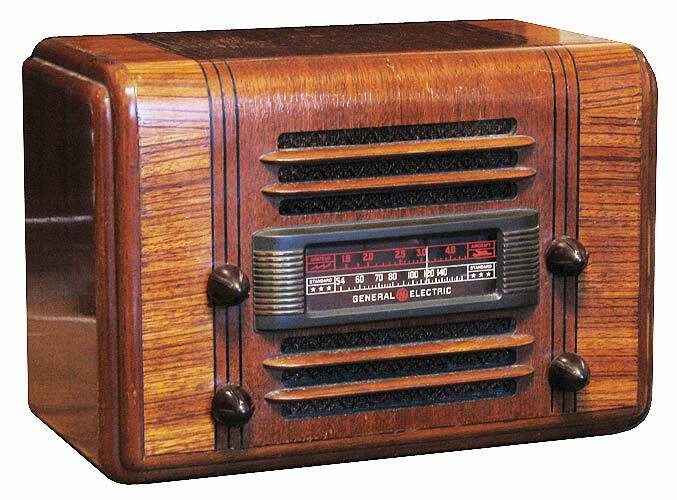 The F-53 was the new incarnation of the then one-year-old E50 and E52 cube radio models and in fact has the same chassis. 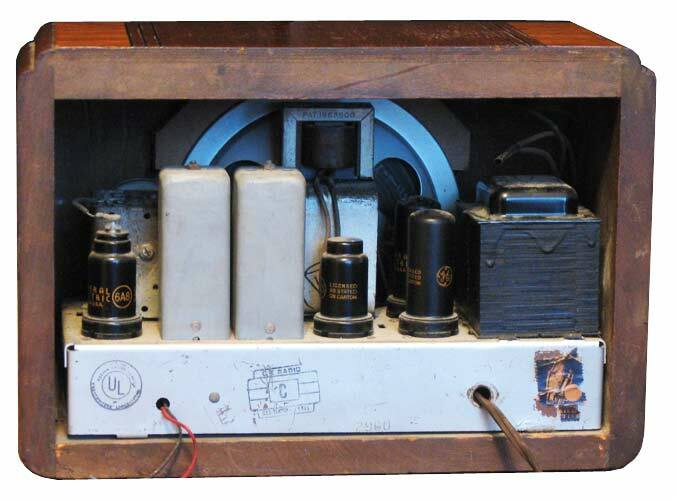 The tube lineup is identical to the E50 and E52, and there were no obvious circuit changes if any when comparing the schematics between the models. However, after visual comparison, the F-53 has a much taller power transformer than the E50. This remarkable example was an ebay win. The well-preserved cabinet retains the original shellac finish and luster. The chassis is fairly clean as well.